The new 150-acre LEGOLAND Florida theme park in Winter Have, FL, is on schedule to open Oct. 15. 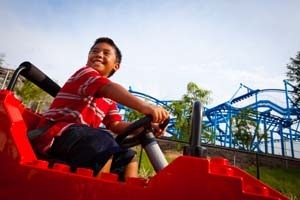 Catering to kids from 2 to 12, LEGOLAND features more than 50 rides – from roller coasters to race cars – as well as family focused shows and attractions. This is the 5th and largest of the world’s Legolands. The only other U.S.-based LEGOLAND is located in California. LEGOLAND Florida is located on the site of Cypress Gardens, which opened in the 1930s and whose stunt water ski shows, Southern Belles and beautifully manicured gardens made it an international attraction for decades. The ski shows and gardens remain in some form but the Southern belles are now represented by Lego figures. A distinctive part of the Florida attraction is its 4 “pink-knuckle” rides, junior roller coasters with the right blend of speed that should thrill the entire family, not just those with cast-iron stomachs. These include The Dragon Coaster in the Kingdoms zone with a humorous behind-the-scenes view of life within the enchanted LEGOLAND Castle. 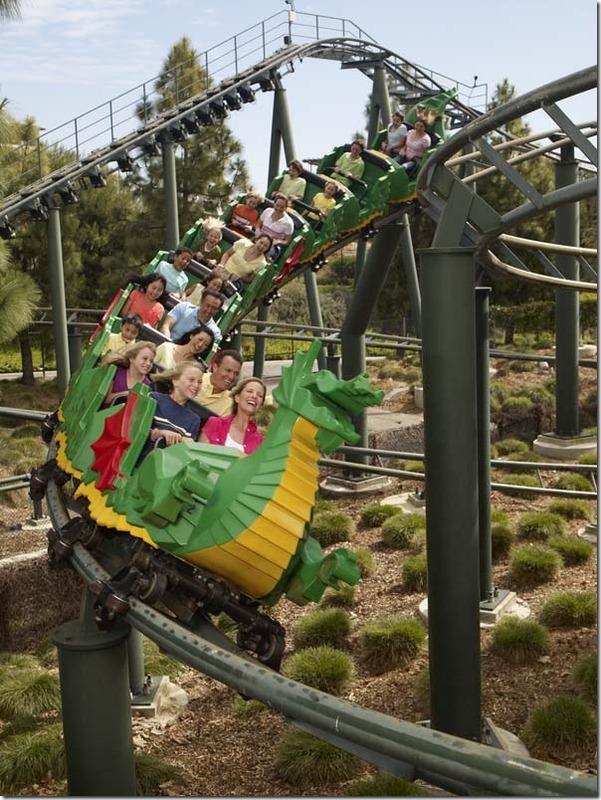 The indoor/outdoor steel coaster encounter a massive fire-breathing dragon along the way. Coastersaurus in the Land of Adventure features a wooden coaster that curves and dips in and around a life-sized Lego brick dinosaur, . Other attractions include Duplo Village for 3- to 5-year-olds with themed play zones. Duplo Playtown lets toddlers operate a pint-sized town; at Duplo Barn they can climb, slide and crawl among a variety of Lego farm animals. Imagination Zone is a hands-on section of the park that emphasizes exploring and creation. At Pirate’s Cove on Lake Eloise, Lego “mini-fig” pirates star in a live-action, water-stunt spectacular families will love. This area also is the site of the Botanical Gardens, one of the attractions that made Cypress Gardens such a popular destination for many decades. See map for all the park attraction areas. 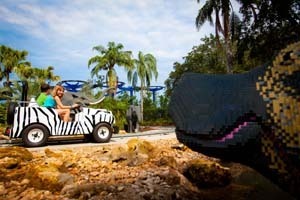 Realizing its out-of-the-way location could be a problem for some potential visitors, LEGOLAND will run a daily shuttle from Orlando Premium Outlets on Vineland Ave. Leaving at 9am and returning after the park closes, the 45-minute shuttle trip has a special opening price of $5, round trip, per person. The shuttle is equipped with seatbelts for youngsters. To reserve a seat, click here. For families that want to spend the night, LEGOLAND has a series of “Bed and Brick” preferred hotels , although some are not all that close to the property. 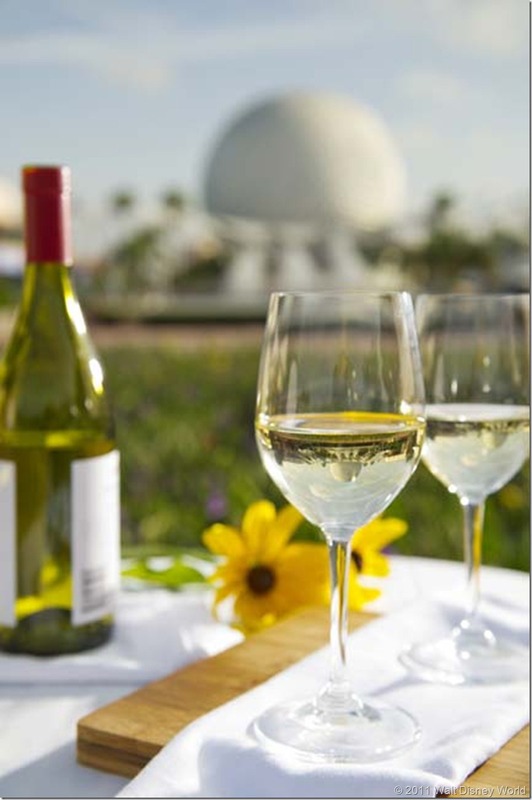 Ticket prices are considerably less than at the other major theme parks. Hours vary by season and day of week. 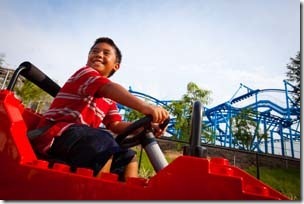 Based on the popularity of LEGOLANDs in California and Germany and elsewhere as well as the advance ticket sales, LEGOLAND Florida will be a blockbuster. This new attraction should be motivation enough to attract a lot of families with young kids to visit Orlando once more, or for the first time.